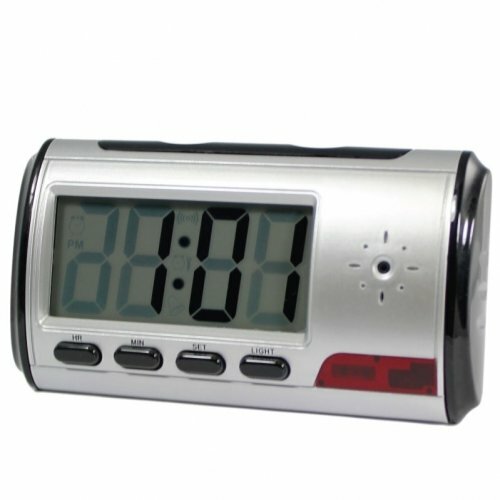 This digital alarm clock will easily blend in anywhere; only you will know that it is actually a DVR, recording sight and sound. 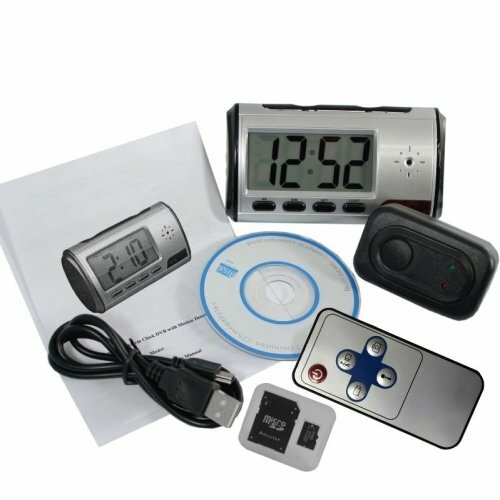 It is perfect for covert surveillance, such as keeping an eye on the babysitter, watching what employees are doing, etc. There are many inferior units on the market that look similar to ours on the outside, but are much different on the inside. Our high-quality DVR has several different recording options: continuous video, sound only, still picture camera, or motion-detection recording. The motion detection feature allows you to record only when movement is detected, saving battery life and memory. 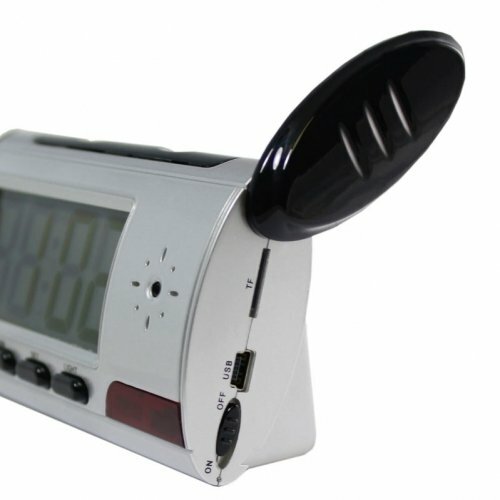 The Spy Digital Alarm Clock DVR can also be used as a webcam using the included driver. 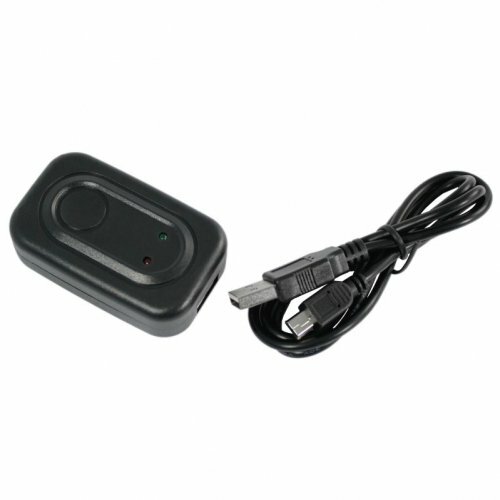 The remote control allows you to start the camera from up to 60 feet away. The recordings are saved to a removable SD card (4GB microSD card included). The DVR can support up to a 32 GB microSD card. The unit allows for a total video memory storage of 240 minutes. Video is recorded using the Samsung color camera at a resolution of 640x480 in AVI format at 30 FPS. Photos are taken in JPG format with the resolution of 1600x1200. 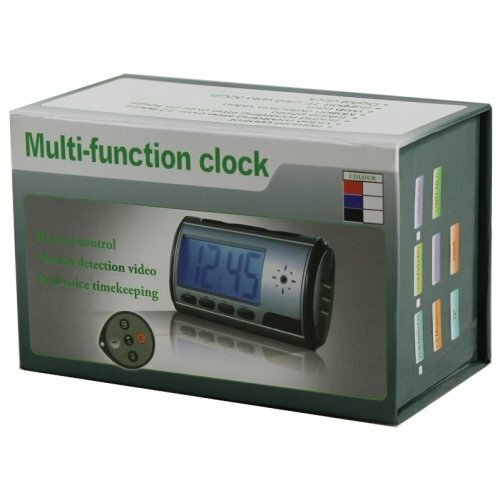 Just connect the alarm clock to the USB port on your computer and you are ready to see the video with Windows Media Player (may require a codec) or pictures using your favorite JPG viewer. The built-in 2200mA lithium battery will provide up to 2 hours of straight recording time. Recharges every time you plug it into a computer.